Beautifully engraved certificate from the Sutter Basin Company issued in 1916. 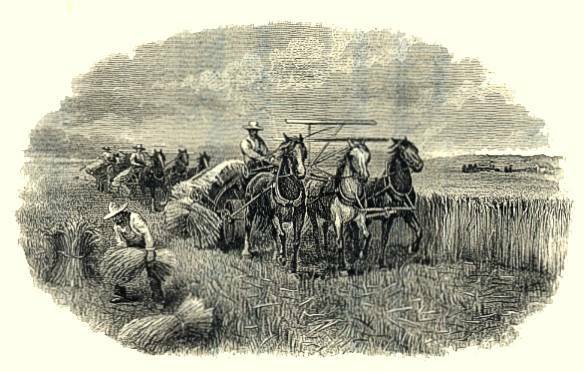 This historic document was printed by the Western Banknote Company and has an ornate border around it with a vignette of a farmer harvesting his crops. This item has the signatures of the Company’s President, W. E. Gerber and Secretary, William H. Devlin and is over 94 years old. Organized under the laws of California Apr. 29, 1913. Owns the fee to 50,087 acres of land in the Sacramento Valley, in Sutter County, Cal., in what is known as the Sutter Basin, lying between the Feather and Sacramento Rivers. Officers­ W. E. Gerber, Pres. ; R. J. Dunham, Vice-Pres. ; Geo. F. Maddock, Vice-Pres. & Gen. Mgr. ; W. H. Devlin, Sec; G. W. Peltier, Treas. ; H. A. Seuf, Asst. Sec. & Asst. Treas. Directors­ J. Ogden Armour, E. A. Brown, R. J. Dunham, Theodore Eder, W. E. Gerber, Geo. F. Maddock, F. L. Martin, G. W. Peltier, G. B. Robbins, Frank G. Snook, G. A. Starkweather. Head office, Sacramento Fruit Bldg., Sacramento. Annual meeting 3rd Tues. in Apr. Sutter Basin Company 1st Mortgage 6% Serial Sinking Fund Gold. Income Tax Not Deducted. Secured by First Mortgage on all property. Dated May 1, 1913. Callable on and after May 1, 1918, on any interest date at 103 and interest. Due $600,000 annually from May 1, 1919, to 1928. Interest May-Nov. 1, Continental & Commercial Trust & Savings Bank, Chicago. Sinking Fund, 70% cash payment on all lands sold. Trustees Continental & Commercial Trust & Savings Bank, Chicago, and Frank H. Jones. Deposited as Security for Notes. Sutter Basin Company 5-Year 6% Collateral Notes. Income Tax Not Deducted. Secured by deposit of total authorized issue of $6,000,000 First Mortgage 6% Bonds of the Sutter Basin Co. and all the stock of the Company, amounting to $6,000,000. Dated May 1, 1913. Callable on any interest date at 103 and interest. Due May 1, 1918. Trustees, Continental & Commercial Trust & Savings Bank, Chicago, and Frank H. Jones. Secured by a mortgage covering the company's holdings of 45,654 acres of land lying within Reclamation District No. 1500 and 9,468 acres within the Sutter By-Pass (which is an artificial channel created to carry off surplus overflow waters) in Sutter County, California, at the confluence of the Sacramento and Feather Rivers, approximately 21 miles above the city of Sacramento. The 45,- 654 acres are completely reclaimed in accordance with the general Flood Control Plan adopted by the United States Government and the State of California. Additionally secured by pledge of all of the stock of the Sutter Basin Improvement Company, which owns approximately .268 acres lying without District No. 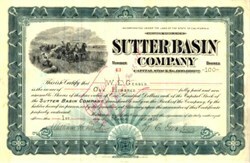 1500 but adjacent thereto, and all of the stock of Sutter Basin Company, of which approximately 60% is owned by Mr. J. Ogden Armour and members of his Immediate family, the remaining 40% being owned by his associates In the management of the Sutter Basin Company. The mortgage provides for the release of lands based upon a scale of payments to the trustee sufficient to provide substantialry 50% in excess of the entire amount of the bonded debt. If land is sold, the entire amount necessary to release shall be deposited with the trustee to be used either for the retirement of the principal of bonds, or for the acquirement of other real property within District No. 1500, which must be subjected to the lien of this mortgage. The 55,122 acres owned by the company have been appraised by a qualified, disinterested appraiser at a total valuation of approximately $17,000,000. This figure does not give consideration to the lands of Sutter Basin Improvement Company. Sutter Basin Company has no other mortgage indebtedness, and the present mortgage Is a first Hen on the lands described, except only In respect to a lien represented by an assessment for reclamation purposes against all lands lying within the District. Sutter Basin Company's share of this assessment amounts to approximately $3,850,000. The entire amount of the assessment, plus similar assessments against other lands, not owned by this company lying within the District, has been funded into an Issue of approximately $5,000,000 District No. 1500 bonds, none of which mature prior to January 1, 1930. Similar assessments which may be made against the lands from time to time, may, under the laws of the State, be funded into bonds maturing over a period of twenty years and, therefore, are not burdensome. There are no assessments against the By-Pass acreage. Note.­ The year 1920 will be the first year of operation with construction work entirely completed, including the irrigation system. New York ­Babcork, Rushton A Co.
San FranclMco­Blyth, Witter & Co.
Chicago­ Halsey, Stuart & Co.
San Diego ­Blyth, Witter & Co.
Los Angeles ­Citizens Nationa 1 Bank. J. J. Doran Co., Drake, Riley & Thomas, Torrance, Marshall & Co.
Low 99 Aug. 100 Aug.